You may have already heard the news about the newest addition to Modo's fleet or seen her prowling the streets while our fleet staff were taking calibrations... Make no mistake, you – yes, you! – are now the proud owner of a five-alarm fire engine red Scion FR-S. With a boxer engine, 6-speed automatic transmission and rear-wheel drive, the FR-S is ridiculous fun to drive and a real head-turner. Expect to get lots of attention when you're behind the wheel! Available for booking immediately, Vehicle #467 will live at the Main Street SkyTrain lot until making its permanent home at Wall Centre False Creek (near 1st and Columbia). Happy sharing! 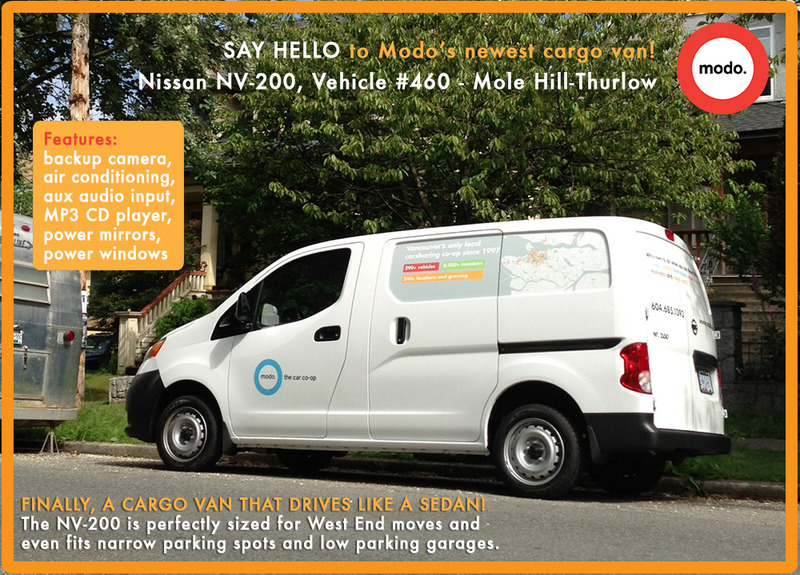 Read about our newest cargo van, Vehicle #460, on the Modo blog! 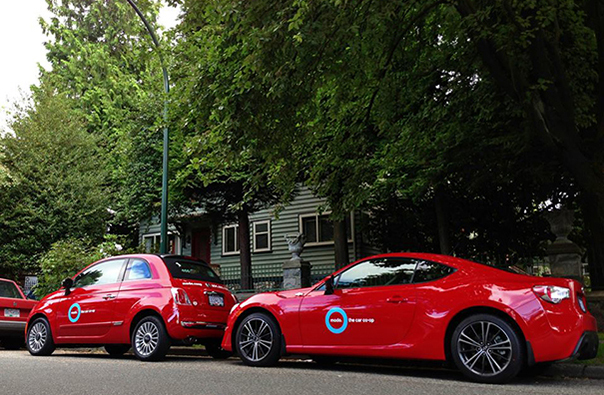 Think you're a member of the best carshare in Vancouver? 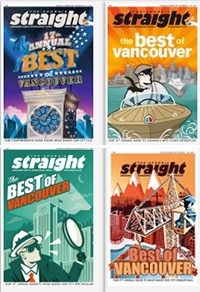 Vote for Vancouver's only member-owned carsharing co-op in the Georgia Straight's annual Best of Vancouver awards! Thanks to LOCO for nominating Modo amongst its members for not only Best Car-Share Service but also Best Employer and Most Environmentally Responsible Company! Vote Modo and share widely! Thanks! One of the perks of being a Modo member is the ability to carshare in other cities. That’s right, using your Modo membership, you can book vehicles in cities as far off as Melbourne, Australia, or as close by as Nanaimo, BC! 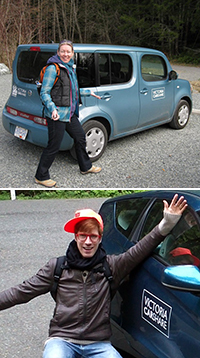 Speaking of Nanaimo… Modo and the Nanaimo CarShare Co-op now offer reciprocal roaming rights! Which means you can walk on the ferry at Horseshoe Bay or hop a floatplane from downtown Vancouver and have wheels ready for you on the other side! Find step-by-step instructions for taking advantage of this awesome member perk, plus read a fellow member's account of a recent roaming adventure on our blog. 1. Modo Member Night: August 9, join us at the Vancouver Chinatown Night Market, where we'll be transforming an entire parking lot into a Sharing Station! Come out to meet and mingle with other members - and listen to performances by St James Music Academy and City Opera Vancouver. Want to help with the event? 2. Modo's Sharing Station will also be offering Night Market-goers a taste of Vancouver's sharing economy with Trade School Vancouver, the Share Shed and others, on July 5, July 12 and August 17. Read about our contest in the Community Calendar below! 3. Love Letters To Chinatown Podcast now live! 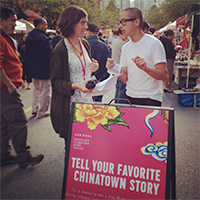 Listen to the first in this series documenting the stories and sounds of Chinatown, by Co-op Radio's Tanya Hill, presented by Modo and Rabble.ca. 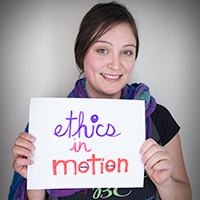 To contribute your own story, find Tanya at the market July 5, July 19, August 9, August 16 and August 30. When my booking comes to an end, I always try to leave the vehicle tidy because it feels good to do my part to help my sharing community. This means getting rid of any bits of garbage, shaking out the mats, making sure the seats are all up, and sometimes wiping the cupholder. If you ever notice that the vehicle could use a wash or vacuum, like after a longer booking, remember that Modo will always reimburse the cost. You can claim a $5 usage credit if you get both a wash and vacuum, and submit a proof of purchase! If the vehicle needs extra loving attention, don't hesitate to let Modo know. Katherine, from our Fleet Service team, will take care of it right away. Groundswell is a year-long training institute designed to assist people under 35 in developing the skills to build their own sustainable enterprises, including but not limited to co-ops, self-employment, social businesses, collectives, non-profits and other grassroots economic configurations that can contribute significantly to an emerging social or solidarity economy. Groundswell's founders Matt Hern and Gilad Babchuk are hosting the final Open House/Info Session of the summer this Sunday at 7 pm at KICKSTAND (Commercial and Venables, in the basement of the Astorino's building). RSVP at matt@ggea.ca. Trade School Vancouver will join us in our booth to offer a taste of the sharing economy. Stop by to meet new and dear friends, take in a workshop or simply relax for a moment away from the hubbub of the market. Share Shed will join us in our booth to offer a taste of the sharing economy. Stop by to meet new and dear friends, participate in our photo booth project answering the question "What do you want to share?" or simply relax for a moment away from the hubbub of the market. Trade School Vancouver will host several classes outdoors, plus a barbecue, games and great people. Follow their Facebook Page for details. Join us at the Vancouver Chinatown Night Market, where we'll be transforming an entire parking lot into a Sharing Station! 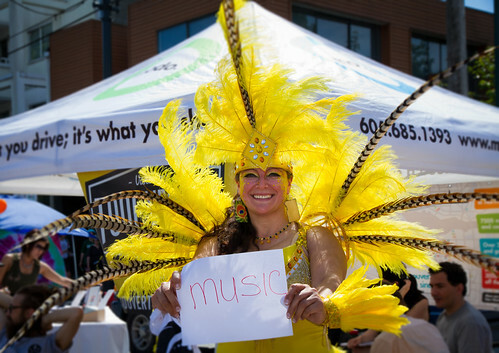 Come out to meet and mingle with other members – and listen to performances by St James Music Academy and City Opera Vancouver. Trade School Vancouver will join us again in our booth to offer a taste of the sharing economy. Stop by to meet new and dear friends, take in a workshop or simply relax for a moment away from the hubbub of the market. Farmers Markets all summer long! We've upgraded our 2007 Dodge Caravan to a 2013 white Nissan NV-200 cargo van. Like the Ford Econoline cargo van at Commercial-Broadway SkyTrain, this is a premium vehicle, and subject to Modo's premium rates. It's slightly smaller than the Econoline, and easier to manoeuvre. We used to have a minivan at Wall Centre and a Smart car at Electric Avenue – now it's the other way around. The 2008 white Smart ForTwo convertible (#221) now lives at Wall Centre. The minivan now lives at Electric Avenue and has been upgraded from a 2007 Mazda 5 to a 2013 blue Chevrolet Orlando (#464). Find a 2013 red Fiat 500 convertible (#466) at 443 Seymour St in stalls 111 or 112. Find a 2006 red Toyota Yaris hatch (#120) in the EasyPark lot on Cordova St between Cambie and Abbott streets, on Level 4. We've replaced our 2011 Mazda 2 with a 2012 silver Mazda 3 wagon (#469). Find a 2011 red Nissan Juke (#302) in the EasyPark lot at Olympic Village SkyTrain station, next to the Modo sign. Find a 2010 red Toyota Prius (#285) and a 2013 red Scion FR-S (#467) in the EasyPark lot at the corner of Main St and Terminal Ave.
Find a 2010 silver Toyota Matrix (#364) in the 1400 block of Lamey's Mill Rd just east of the entrance to Granville Island. We've replaced our 2009 Toyota Yaris with a 2013 blue Toyota Prius C (#472). We've replaced our 2010 Toyota Prius with a 2012 silver Mazda 3 sedan (#474). We've replaced our 2006 Toyota Yaris with a 2009 brown Nissan Cube (#473). Find a 2011 green Mazda 2 hatchback (#317) in the 500 block of East 13th Ave, between St George and Carolina streets. Park on the south side of the street, next to Robson Park. Find a 2011 red Dodge Caravan (#476) in the 400 block of E 28 Ave, between Prince Edward and St George streets. Find a 2012 purple Scion iQ (#459) car next to Vancouver Fire Hall #9, at the corner of East 2nd and Victoria Dr. Park on the south side of East 2nd. Find a 2008 grey Toyota Corolla (#289) in front of 3440 Nanaimo St, a few blocks north of the SkyTrain station and just east of Trout Lake. Copley St intersects Nanaimo twice, once at East 18th Ave and once at East 20th Ave; our car is parked between these intersections. Find a 2009 grey Toyota Yaris hatchback (#250) in the parking lot at Rev's Bowling, immediately west of Holdom SkyTrain. Park in stall #123, next to the Modo sign. Find a 2012 silver Mazda 3 sedan (#468) in the 4200 block of Maywood Street, between Willingdon Avenue and Cassie Avenue. We've replaced our 2010 Toyota Matrix with a 2012 red Toyota Prius C (#475).